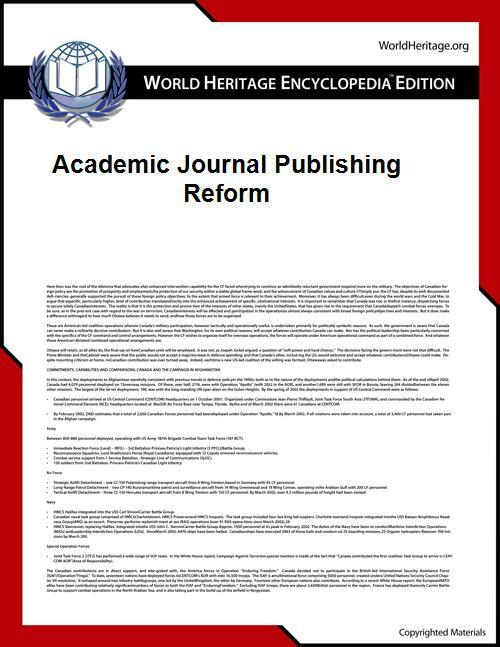 Academic journal publishing reform refers to advocacy for changes in the way  Historically publishers performed services including proofreading, typesetting, copy editing, printing, and worldwide distribution. In modern times all researchers became expected to give the publishers digital copies of their work which needed no further processing. For digital distribution printing was unnecessary, copying was free, and worldwide distribution happens online instantly. In science journal publishing, Internet technology enabled the four major scientific publishers - Elsevier, Springer, Wiley, and Informa - to cut their expenditures such that they could consistently generate profits which exceed a third of their revenue. The Internet made it easier for researchers to do work which had previously been done by publishers, and some people began to feel that they did not need to pay for the services of publishers. This perception was a problem for publishers, who stated that their services were still necessary at the rates they asked. Critics began to describe publishers' practices with terms such as "corporate scam" and "racket". There are those, for example PRISM, who think that open access is unnecessary or even harmful. It has been argued that there is no need for those outside major academic institutions to have access to primary publications, at least in some fields. For various reasons open access journals have been established by predatory publishers who seek to use the model to make money without regard to producing a quality journal. The causes of predatory open access publishing include the low barrier to creating the appearance of a legitimate digital journal and funding models which may include author publishing costs rather than subscription sales. Research reviewer Jeffrey Beall publishes a "List of Predatory Publishers" and an accompanying methodology for identifying publishers who have editorial and financial practices which are contrary to the ideal of good research publishing practices. The Academic Spring is trend which began in 2012 wherein academics and researchers began to oppose restrictive copyright in traditional academic journals and to promote free online access to scholarly articles. The petition collected 34,000 signatures but the publishers took no strong response to the demands. Shortly thereafter, the Public Library of Science was founded as an alternative to traditional publishing.